Funded by the Technology Strategy Board and implemented in 2010 in collaboration with Southern Housing. The existing home was cold and draughty and suffered from extreme condensation which wetted carpets a metre in from the external walls. It is unsurprising that occupants suffered from asthma due to the unhealthy conditions which created damp air with a high risk of toxins including fungal spores, dust mite debris, and air-borne viruses and bacteria. 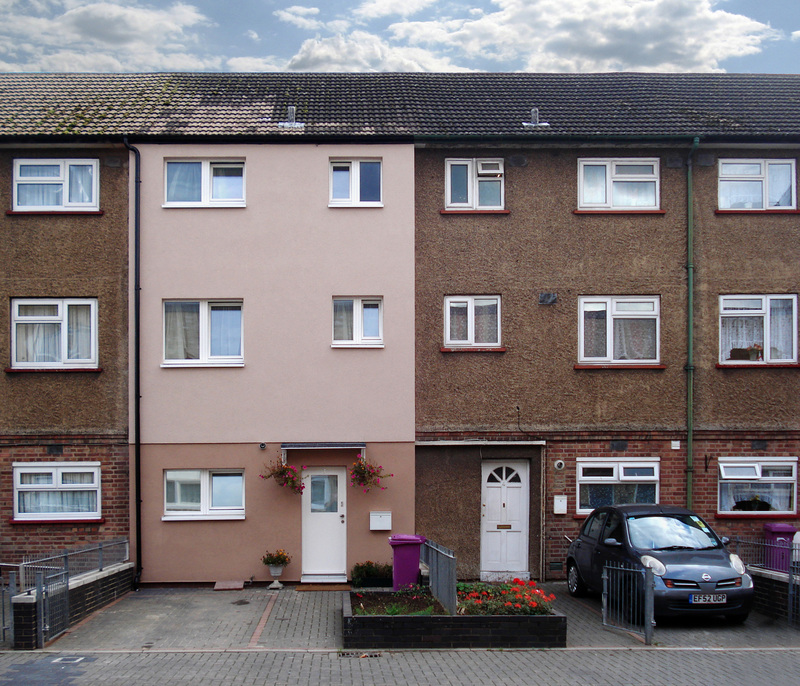 We applied external thermal insulation, draught-free, triple-glazed windows and doors, we insulated the solid ground floor, addressed cold bridging, and introduced a heat recovery ventilation system in a way that minimised disruption to the occupants. The result is a robust, comfortable demonstration building where heating requirements have been reduced dramatically, the indoor air quality is now excellent, and the occupants’ asthma symptoms have completely cleared up. The solutions are perfect for scaling up, and the unit cost will be reduced significantly when rolled out at scale. In this project we demonstrated a practical way to improve much of the UK's housing stock; a way that also saves more money than it costs when considered in generational time-scales, while improving occupants’ quality of life, reducing demands on the National Health Service, and creating jobs. This is also an effective way for the country to meet its legal obligations to take meaningful action to mitigate climate change, a means that is being widely adopted across other countries in Europe. It is shameful that the UK Government authorities have done almost precisely nothing since 2010 to address the known climate emergency, despite having effective means at their disposal to do so. View a thermal image of the whole terrace by clicking on the small icon above. See films of our retrofit for the future projects, including occupancy interviews here.